I was asked recently how we organise our weekly and daily rhythm, so I thought I'd post a little bit about it. This 3 day rhythm refers to our Language Arts Block rhythm. Our Math Block rhythm looks a little different, but I'll blog about that in a later post. 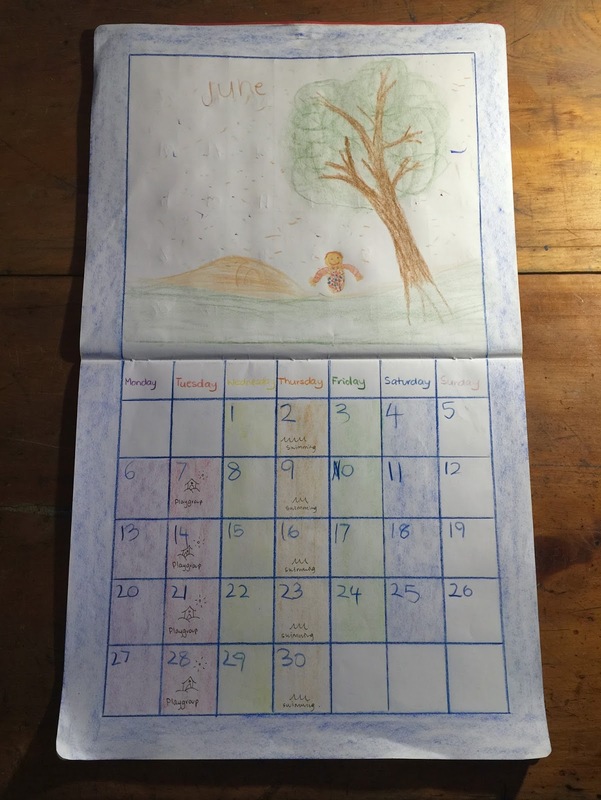 I found this article <The Seven Lively Arts> really helpful when planing our weekly schedule, and this article, <Head, Heart, Hands: Daily Rhythms and Educating The Whole Child> was useful when planning each individual day. - 'Head (Thinking)' - academic based activities are scheduled in the morning, when Mr Grade 2 is most alert and able to concentrate. 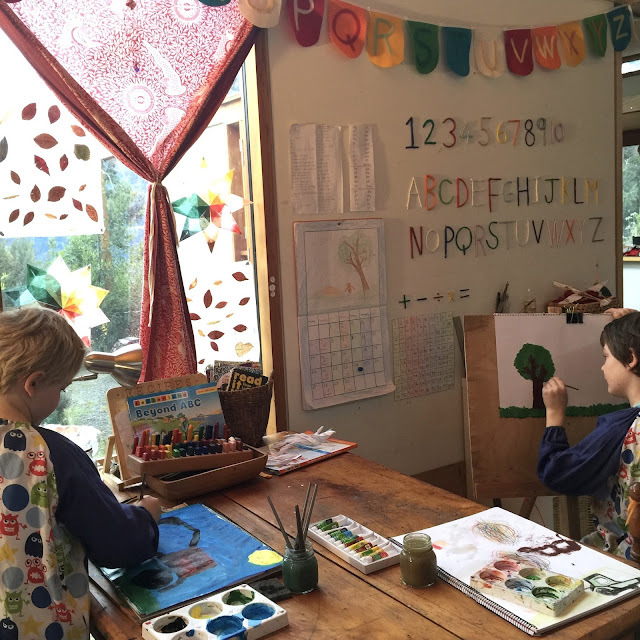 - 'Heart (Feeling)' - activities which 'nurture' the soul, such as painting, drawing, music and nature studies are often done either mid to late morning, when the boys need a break from thinking activities, concentration and mental alertness. - 'Hands (Willing)' - activities such as handwork, sewing, modelling, knitting, gardening, building, baking are also often scheduled in the afternoon when a child's natural inclination and energy is to 'do'. The boys both have alternating morning and afternoon chores, which they do each day except Sunday. They are simple chores but helpful to keep the household ticking over, especially as now I have my hands full with the baby 😊 and I believe it is important for every family member to participate in meaningful work to help keep the home life running smoothly. Our rhythm does change and evolve over time to meet our needs. 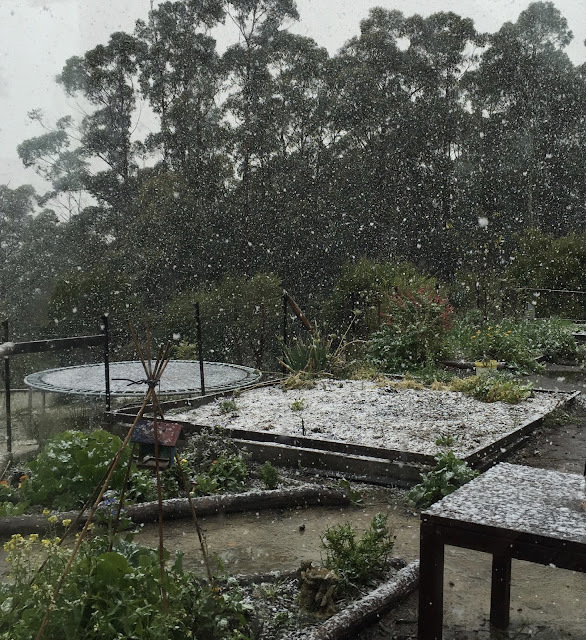 It changes as the seasons change. We find ourselves relaxing our rhythm as the warm Summer approaches and we are spending more time outside in the food garden or socially with friends. Generally speaking though I like to keep a regular 3 day 'schooling' rhythm on Monday, Tuesday and Wednesday. Just in the last few weeks I have started meeting Mr Kindy's need for a little more 'work' as he prepares to move to Grade 1. It will be interesting to see how our rhythm will change next year when I have a toddler, a First Grader and a Third Grader at home! - <Homeschooling Multiple Children with Waldorf> is another article I'll revisit later in the year. We've kept things pretty traditionally Waldorf-Steiner in the early years, so before Grade 1 there is no expectation on any academic work as such. 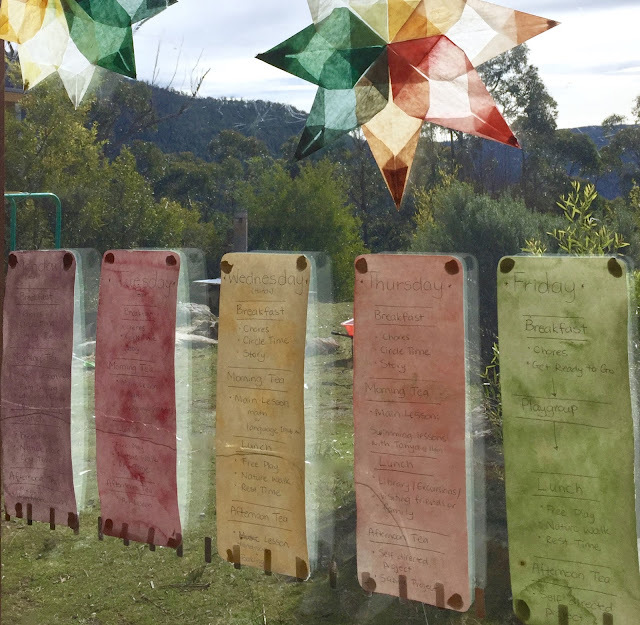 Mr 6 year-old Kindy (known as Prep here in Tasmania) does Circle Time, Arts, and Handwork with his older brother. I hold a little early childhood story space for him each Monday after Circle Time, which Mr Grade 2 loves to be present for too. Recently he has began to paint or draw from the Kindy story. Mr Kindy usually chooses to join in with Form Drawing. I try to combine as much of this work as possible. Mr Kindy also generally likes joins in with his older brother's science and social studies but there is no expectation on him to join us here, he just chooses to do so. He often likes to "write up his work" in his own MLB too, and that is fine. 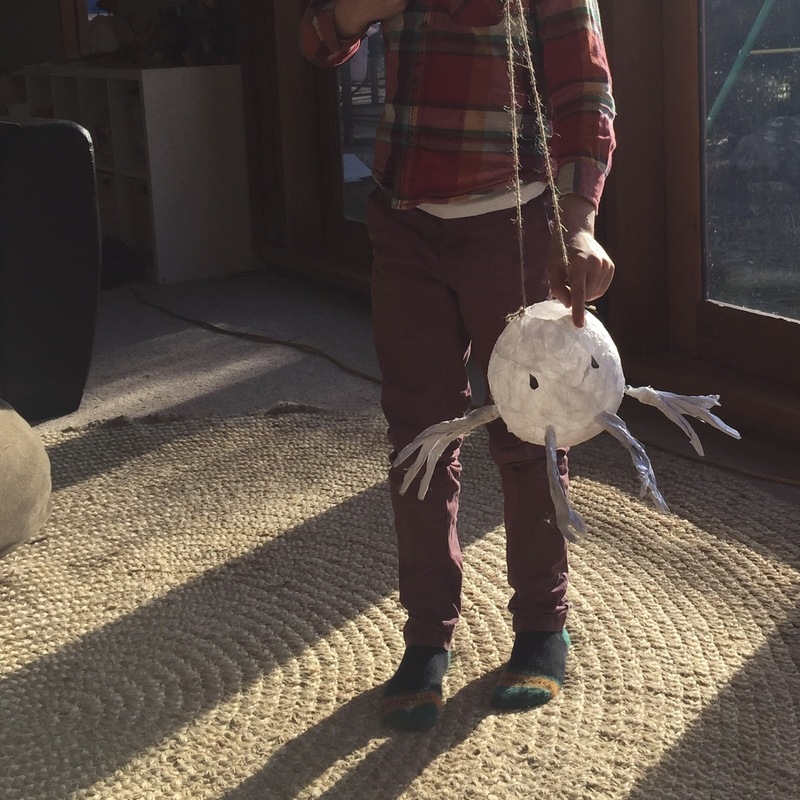 Still, I feel no pressure with his learning or progress - if he were still enrolled in the local Steiner school it's all play based until Grade 1. Mr Grade 2 has Morning Lesson on Monday, Tuesday and Wednesday, generally starting at about 9am, after breakfast and chores. 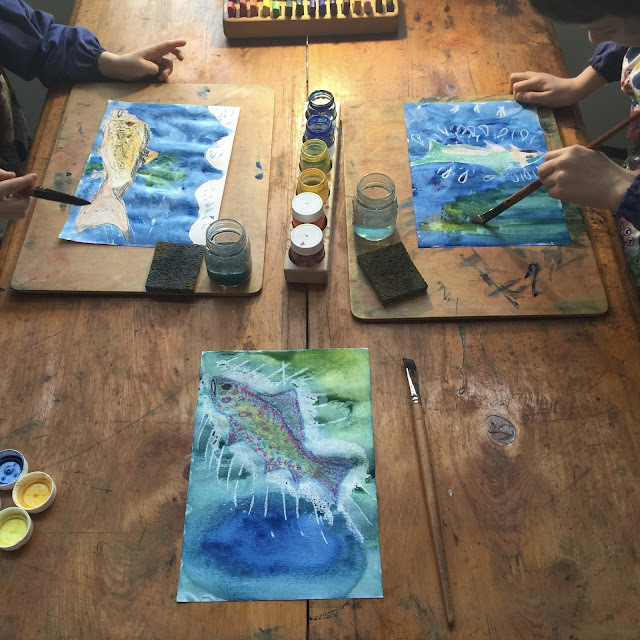 We focus on either a Language Arts or a Math Main Lesson block alternating each month, and then other subjects - Science, Social Studies, Art, Handwork, Music, Form Drawing we do each week. 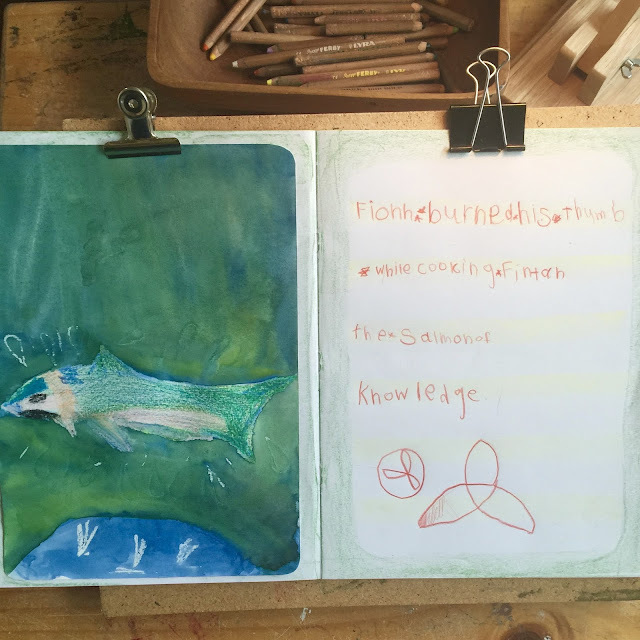 I try to have the Main Lesson work finished in the morning before lunch, so that the afternoon is mostly free for free-play or self-directed projects. I do like to include a short, fun hands-on science/social studies/handwork project, on some afternoons, or gardening/excursions etc. We usually fit in a nature walk and I have an afternoon rest with the baby while the boys do quiet play or look at picture books. Our daily rhythm is stuck above our work table for my benefit! - Grade 2 story at bedtime. 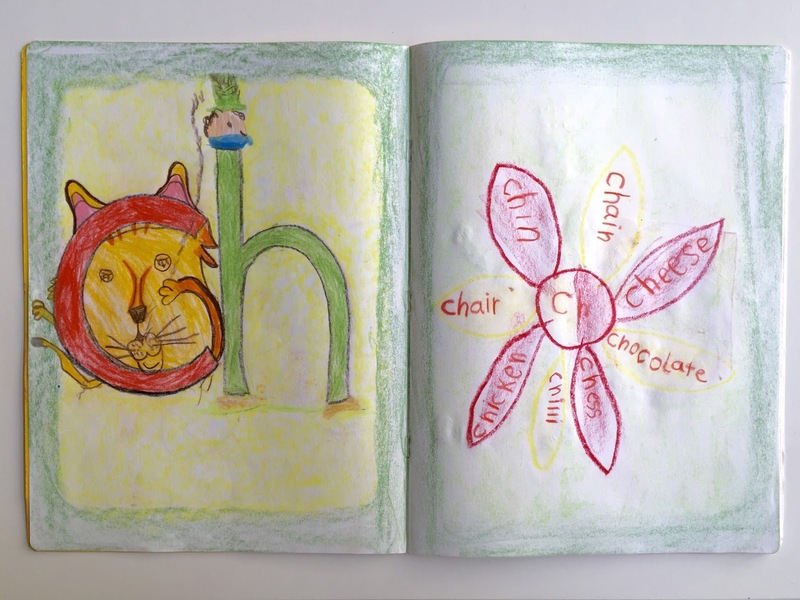 - Form Drawing (introduce new form using the wonderful <Creative Form Drawing> book). Kindy boy often does FD with us. 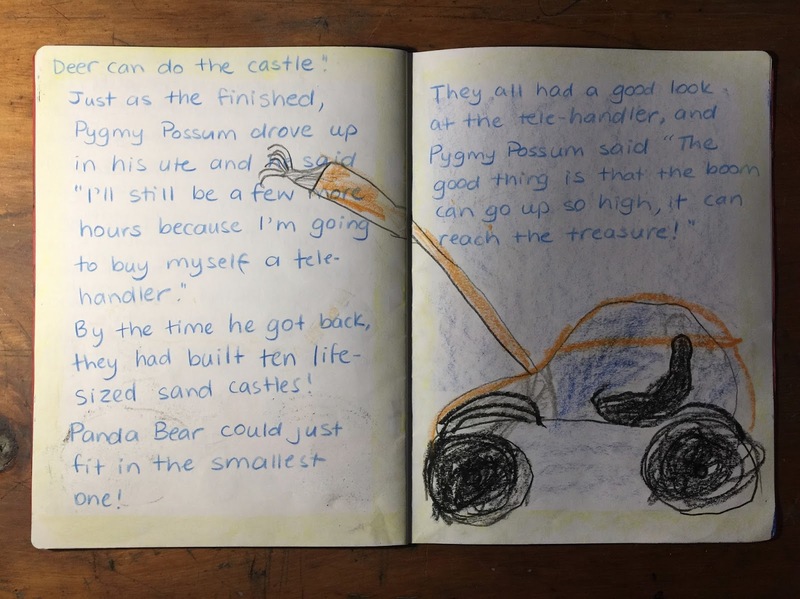 - Grade 2 story recall and write the story paragraph in his MLB. - Or if at home, complete any outstanding work, or self directed project/play. - Or if at home, complete outstanding work, or self directed project/play. The boys spent lots of time playing with Daddy, who was able to take a few weeks of paternity leave from work. 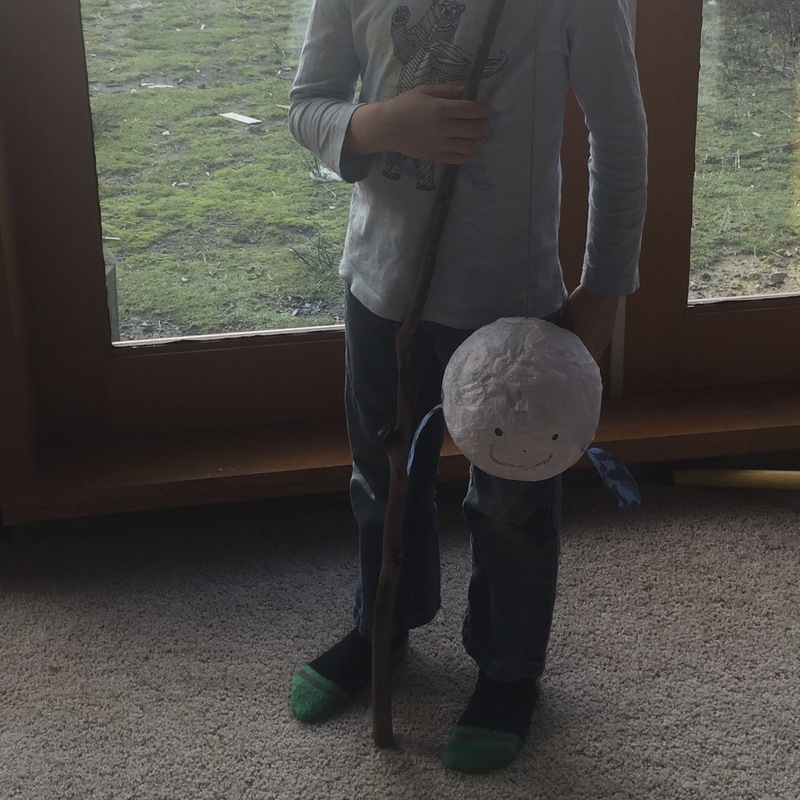 He took the boys to Homeschool Group and to swimming lessons, and life started to find a new normal rhythm, albeit a slightly more sleep deprived one. We were also also to have an official 'finishing Grade 1' party for Mr 7, which was lots of fun. He had been looking forward to running through the paper banner for months! As I had an extra pair of hands around the house for a few more weeks, I decided to ease Mr Grade 2 gently into some Second Grade work earlier than I had planned to, as I know once paternity leave is used up, I'll be a lot busier at home. I had spent some time planning out Mr Grade 2's Second Grade schedule over the last few weeks, knowing that we will be flexible with our schedule and expectations over the coming months. Some good info on planning Second Grade can be found <here>. 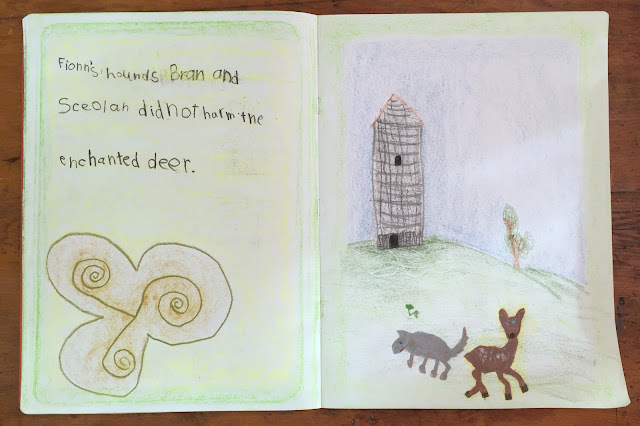 I planned to begin Second Grade with a Language Arts 'Celtic Saints & Heroes' Block, which I was particularly excited about. 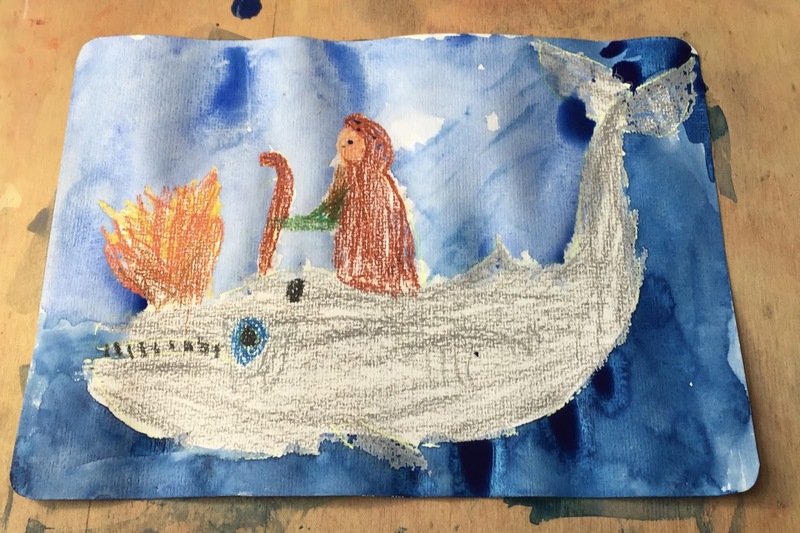 In Waldorf-Steiner Second Grade, Saints and Heroes from cultures around the world are studied as part of the Language Arts curriculum. Studying the inspiring stories of saints and heroes provides a contrast to the trickster tales and fables, which are also an important part of the LA program, illustrating the duality of human behaviour. For this block, I drew from a mixture of mostly Christopherus and Oak Meadow, as well as free online resources. 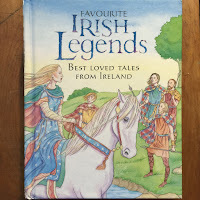 for those interested in the mythological cycles of Ireland. 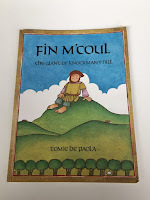 We started off with our first Irish hero of the 'Saints & Heroes' block, Fionn MacCumhill. We read from the Christopherus Second Grade curriculum book 'Finn MacCool and The Salmon of Knowledge', a version of which can be found <here>. We started our Social Studies work reading an Irish story, 'A Fair Exchange', from the Second Grade Oak Meadow curriculum. 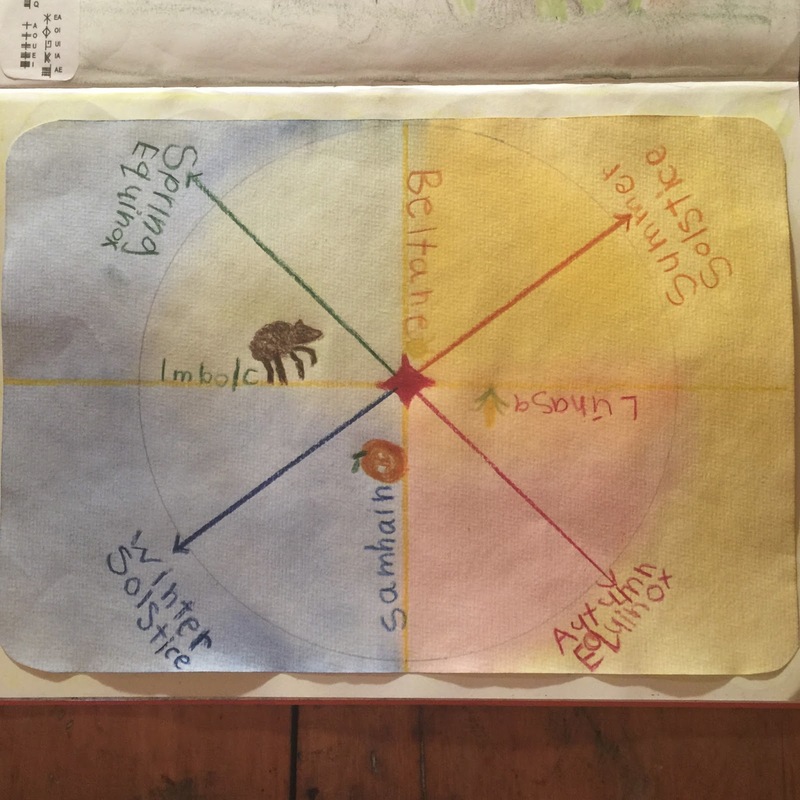 We then discussed the lives of pagan Celts and painted a pagan Celtic wheel of the year, learning a little about the festivals and seasonal events that marked the turning of the year. Mr Grade 2's free hand map of the UK and Ireland. 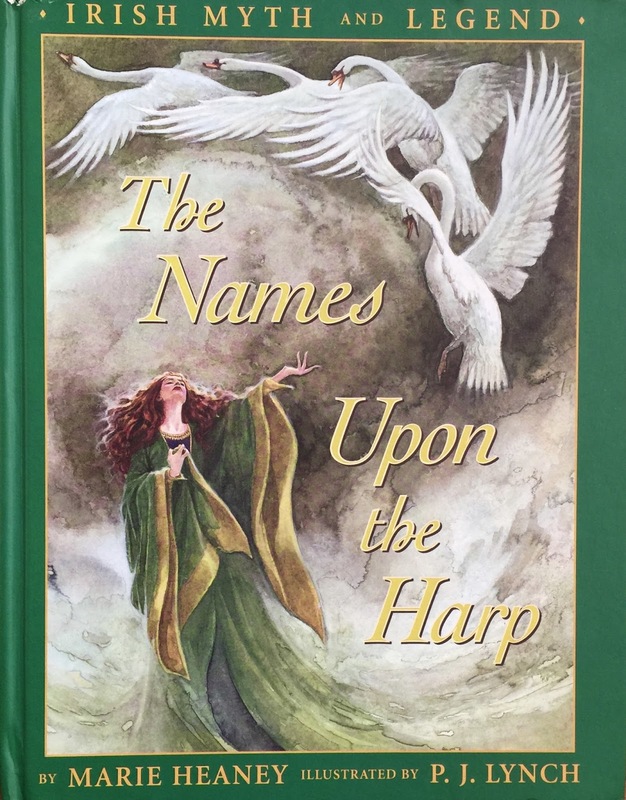 We continued the tales of Fenian Mythological Cycle with the story of 'Fionn & The Enchanted Deer' a tale of Fionn's lover Sabah, a beautiful woman enchanted into the form of a deer, and the birth of their child Oisin. A version of this story can be found <here>. The boys loved reading the Fenian Cycle, and we spent many evenings reading on through the tales listening to the adventures of the Fianna, the hero warriors of Ireland and of 'Oisin & The Land of Youth' a story of Oisin's adventures with Niamh of the Golden Hair in Tir Na nOg and of his death on his return to Ireland, a version of this story can be found <here>. The version we read had him meeting St Patrick at the end of his life, which was very fitting for our plan for the following week. 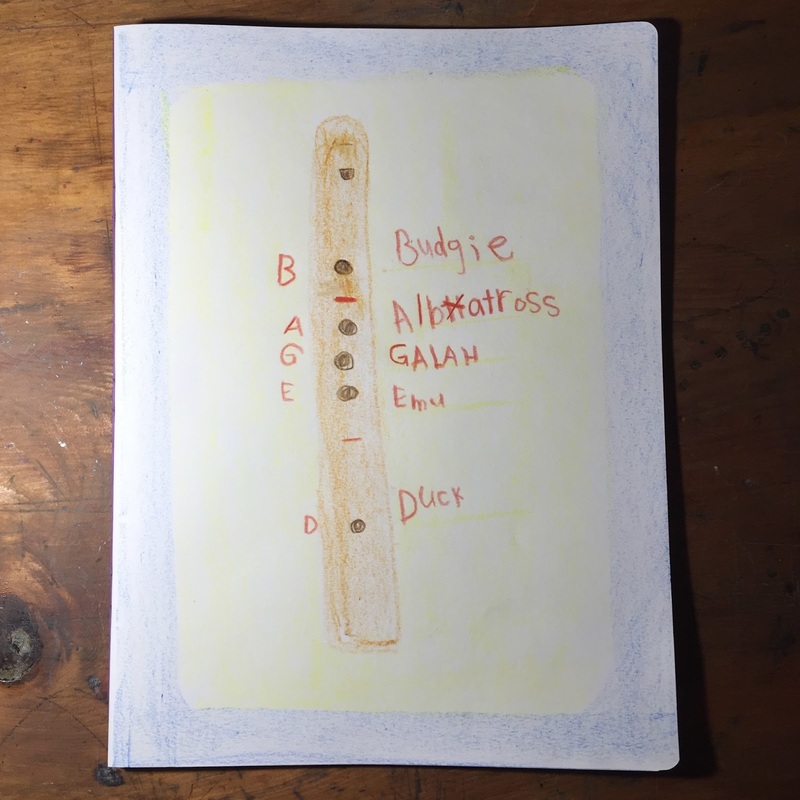 In our stories we heard about Ogham stones, ancient Celtic standing stones on which a linear form of script can often be found - known as Ogham. We learned that ogham stones generally have someone's name written on them, but the reason still is unclear. The writing reads from the ground upwards, starting at the 'roots' of the standing stone. Fascinating! We then used modelling clay to make our own Ogham stones into which we wrote our names in Ogham script. Beeswax modelling during story time can keep fidgety fingers busy! At our Steiner Playgroup this week we began work on paper-mache tissue paper lanterns for the local mid-Winter lantern festival which was to be held the following weekend. The lantern festival theme was 'Under the Sea' this year. Mr Second Grade decided to make a crab and Mr Kindy a puffer fish. 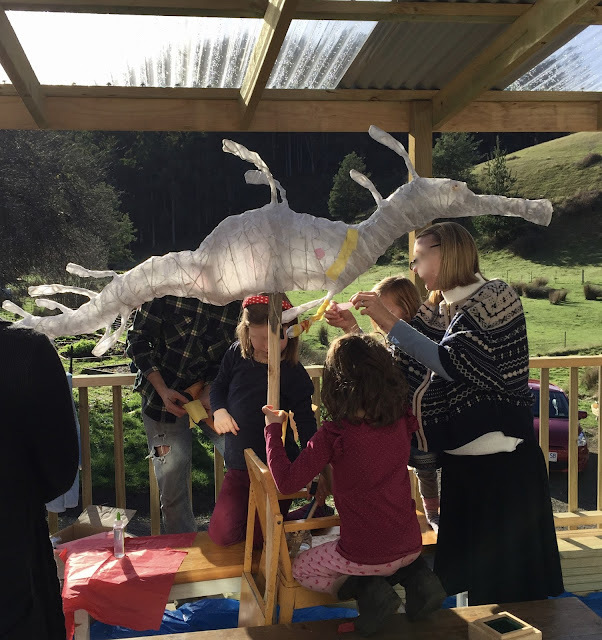 We met for a second time on the weekend to finish and decorate a group sea dragon lantern that one of the very clever father's in the group had made. 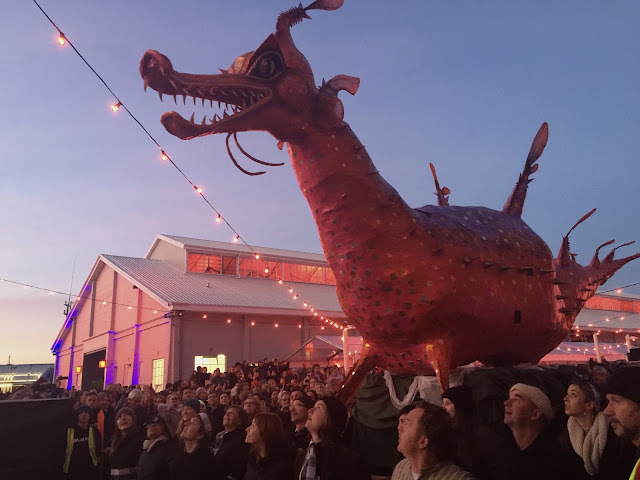 On Sunday, we visited the Dark MOFO Winter Feast on the Hobart Waterfront. It was a beautiful clear Winter's night and we enjoyed the local produce, street performances and the company of friends. 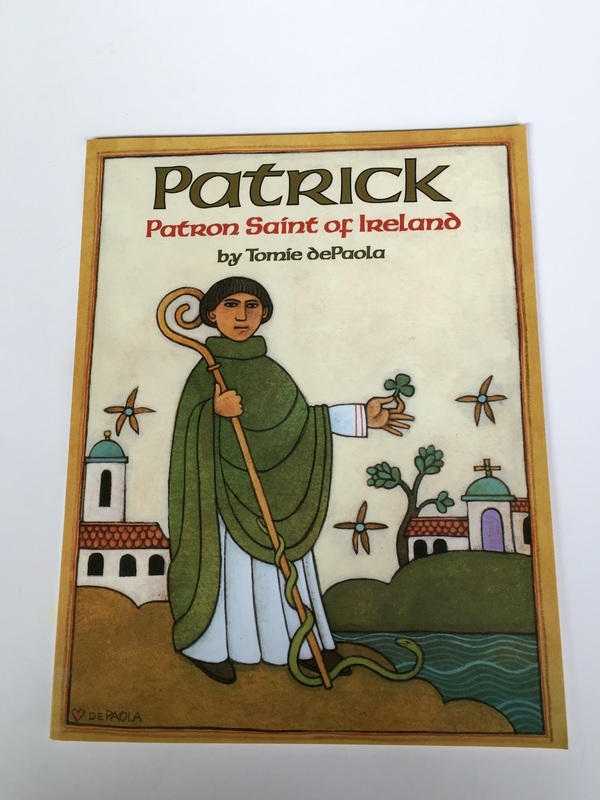 Following on from the tale of Oisin, we studied the life of St Patrick. 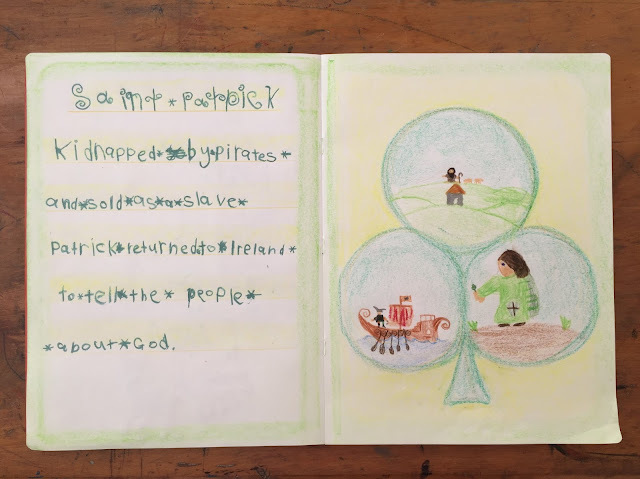 The life and adventures of St Patrick the boys know and love well. What young boy doesn't like a good pirate story? :) Stories of St Patrick can be found <here> and <here>. 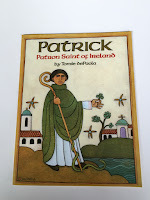 We enjoyed stories about St Patrick's life and work from this picture book. Following chronologically from St Patrick, we studied St Brigid, whose mother was said to have been baptised by St Patrick himself. 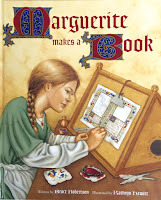 We used a story of St Brigid from the Oak Meadow curriculum, but a similar versions can be found <here> and <here>, as well as the story 'St Bridget and The King's Wolf', which can be found <here>. We also read the beautifully illustrated book 'Brigid's Cloak: An Ancient Irish Story' by Bryce Milligan which can be found <here>. In handwork this week, we made St Brigid's crosses from reeds we collected on our property. Instructions for how to make them can be found <here>. This week we started on our new phonics program, <Letterland>, to supplement our Language Arts blocks. 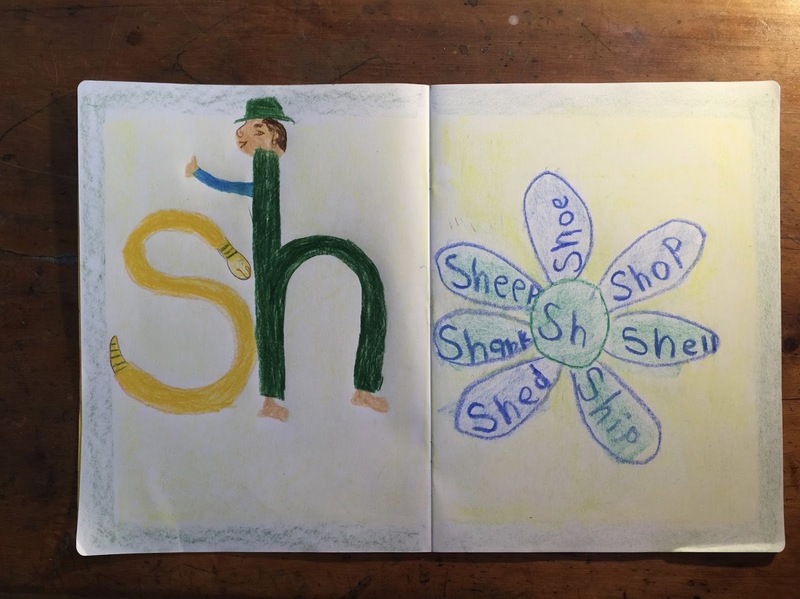 At the recommendation of friends, I have chosen to take a departure from our usual Waldorf-Steiner curriculum resources, and use the Letterland system. 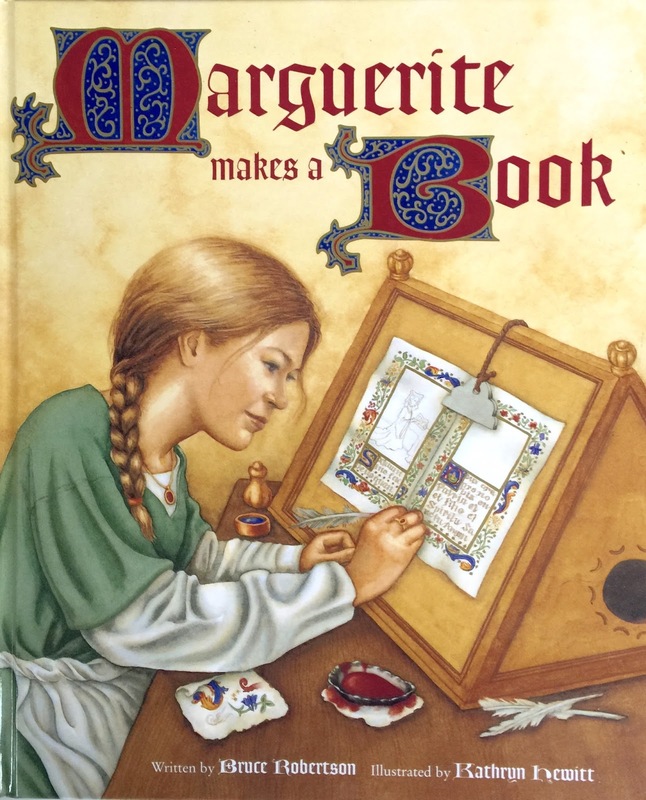 It is a story and character based language system and I know will bring a lot of enjoyment to learning the word families, blends and diagraphs. We started this week with the consonant blend 'SH'. In this blend, Harry Hat Man is saying "Sh! "to Sammy Snake who is hissing his sound "sass" very loudly. Together the sound is "Sh". On the weekend we went to the local mid-Winter lantern festival with our homeschool group. It was a wonderful evening and the lanterns were inspiring as always! This week we began by learning about the life and work of St Columcille, the third chief saint of Ireland beside St Patrick and St Brigid. 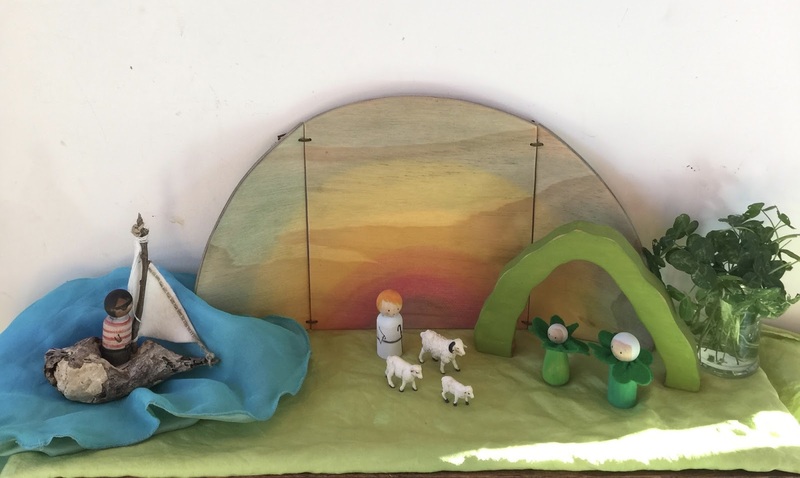 The Oak Meadow curriculum has a lovely story of St Columba's life and travels. A similar story can also be found <here>. St Columcille's (or Columba) monastery on the remote Scottish island of Iona was the only centre of literacy in the Dark Ages. He was known as a man of letters, having written many hymns, prayers and poems and transcribed at least 300 books. On afternoon this week, we watched the BBC documentary 'How The Celts Saved Britain' which follows the life and work of St Patrick and, in part two, St Columba in post-Roman Britain. as they chant music to their Father everlastingly. that I might see its mighty whales, the greatest wonder. it is a secret that I tell--"he who turned his back upon Ireland;"
In handwork this week, we made our own quills from feathers we had collected on nature walks. It was very easy and lots of fun. 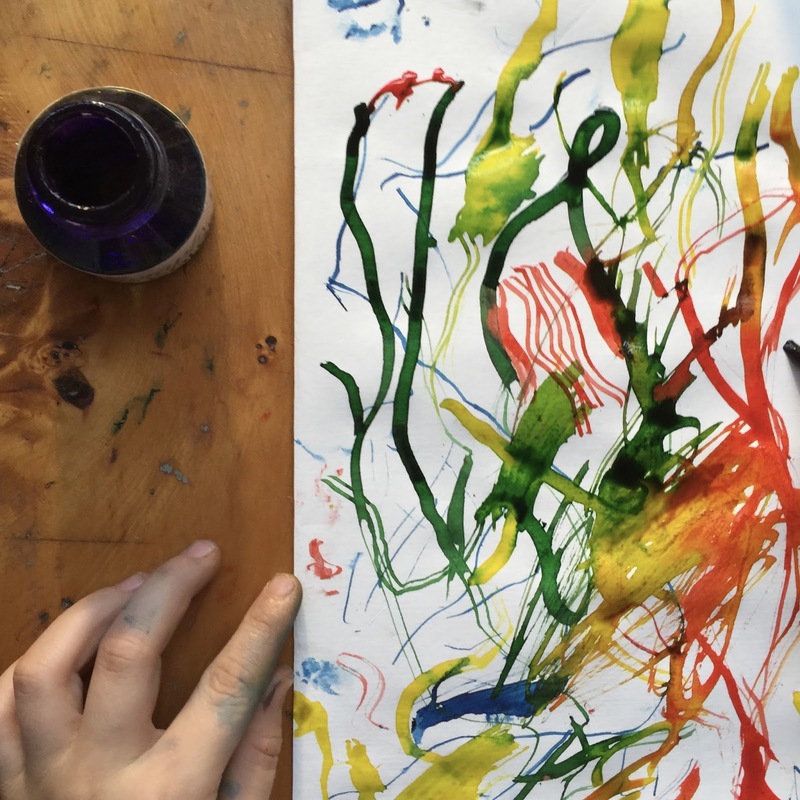 We then followed instructions to make our own inks, as well as using calligraphy inks I had in my art supplies. Instructions for feather quill making can be found <here>. Mr Second Grade received a pocket knife for his 7th birthday and is always excited to have projects to use it! 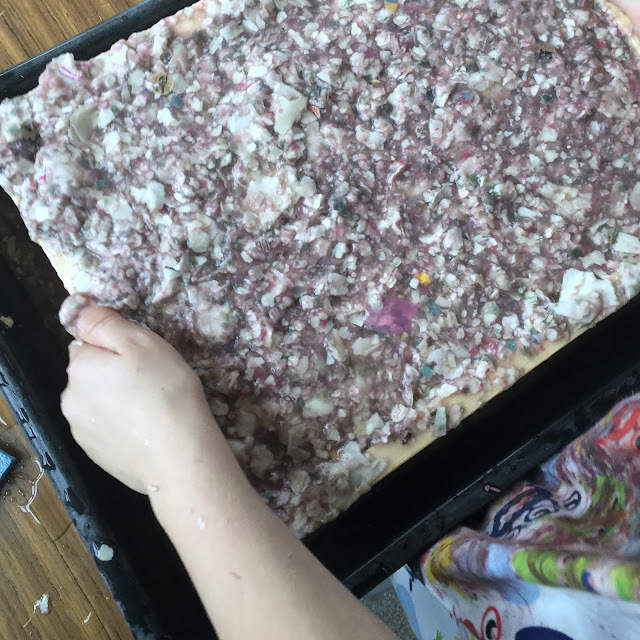 In addition to our ink and quill making, we made our own paper this week. It turned out a bit chunky for writing on, but the boys enjoyed the process of making paper. 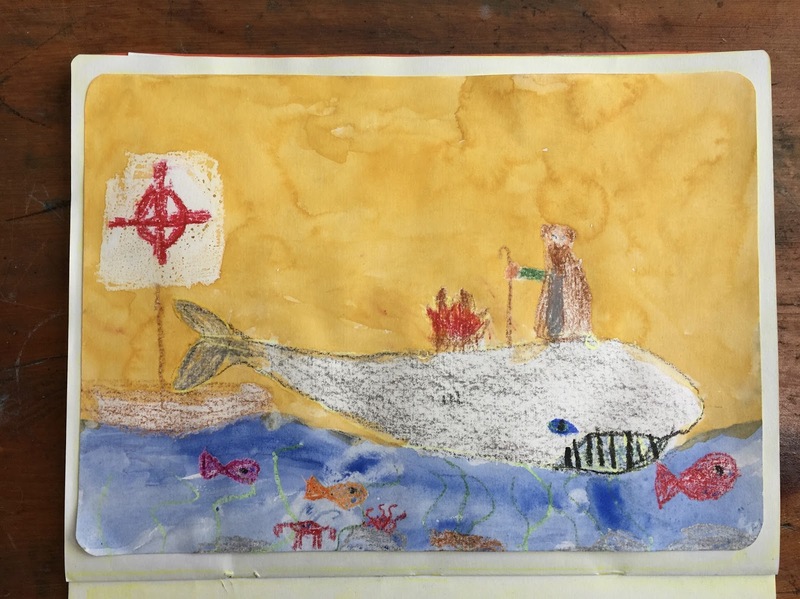 Finally, this week we learned about the fantastical journey and strange adventures of St Brendan the Navigator, who navigated across unknowns seas by using the stars in the heavens. 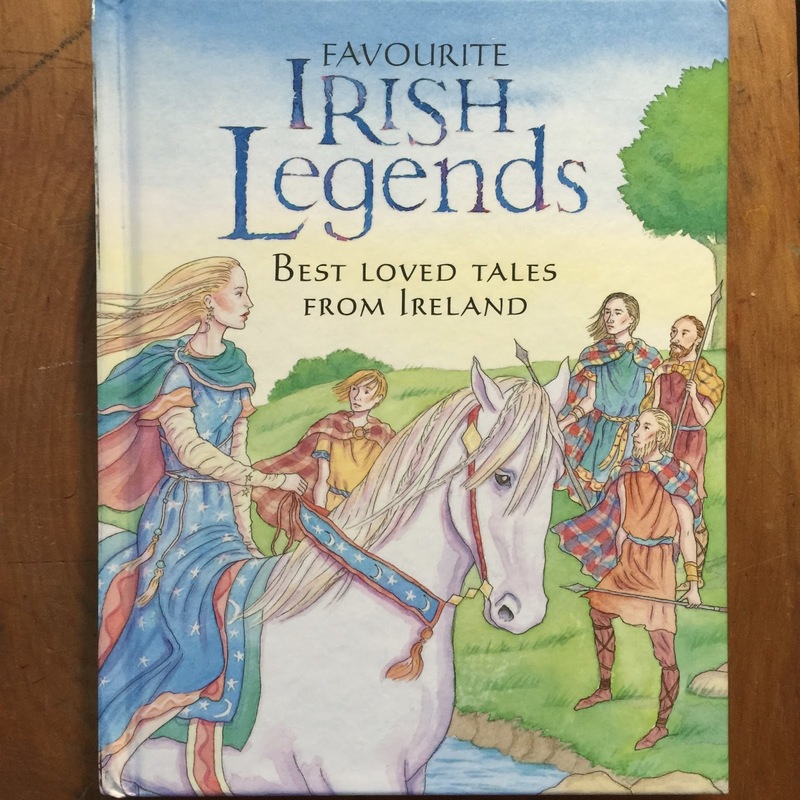 The boys absolutely loved these tales and begged to be told them over and over again. 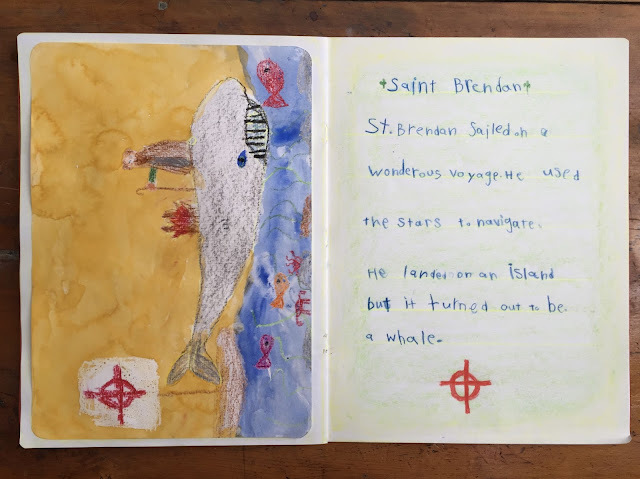 A long version of St Brendan's journey can be found <here>, and a lovely little paper-cut animated story made by the children of Craigbrack and Eglinton Primary Schools can be found <here>. Using the <Letterland Phonics Program>, this week we heard a story about the digraph 'CH' and recalled some words beginning with this digraph. In this story, Harry Hat Man's hairy hat makes Clever Cat sneeze "ch" when she stands next to him. We also learned about the blend '-tch'. What is your daily schedule? You do so many amazing and creative things...how do you fit it all in? 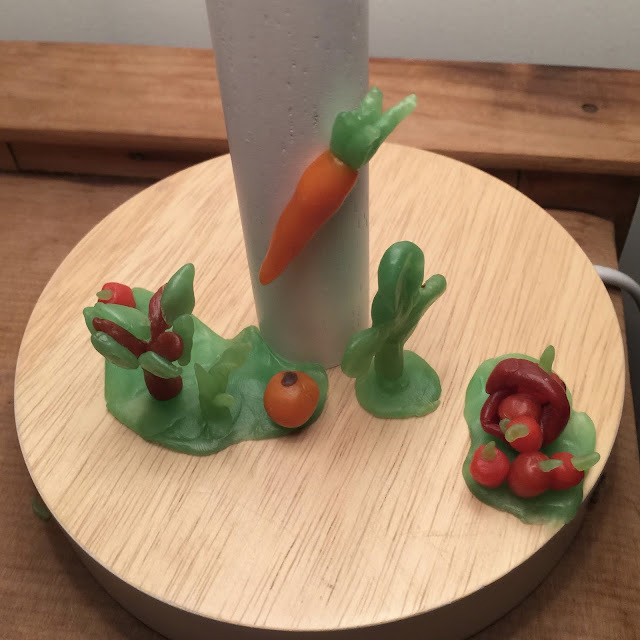 Hi Jen, thanks for your kind words :) I've included a bit about of weekly and daily schedule in the latest blog post for you. Hope that helps.